Let me just preface this by saying I didn't take a before photo. Sadness. I still haven't gotten blogging or even really documenting my sewing into my brain and so it didn't even occur to me until I had finished. Blogging fail. 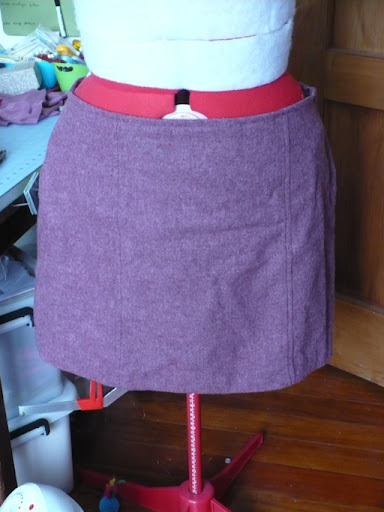 So this is my cute new skirt, that I made from a skirt that I found at a thrift store. It was $18 which if you live in the states or other places that seem to have great thrifting may seem expensive. Here is NZ, everything is expensive, even the thrifting. Anyhoo, the skirt was from a company called Eastex. It was wool with a touch of polyester, which I actually like for reducing the itch factor. 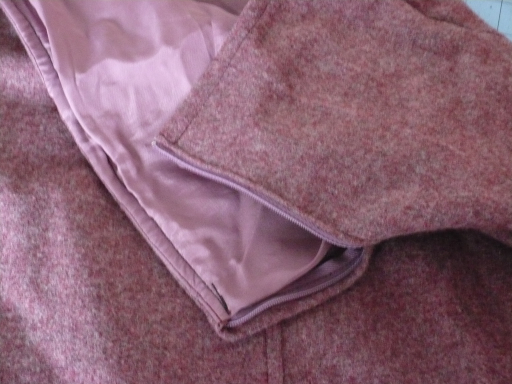 It was a straight skirt that came about mid calf on me, with a very nipped in waist. I don't really like the mid calf length (some women pull it off wonderfully, sadly I'm not one of them). The larger (or smaller depending on how you look at it was the nipped in waist, which is definitely not my shape, and sadly when it was done up it was making a good effort at arranging my internal organs. So a remake (upcycle? Refashion? these terms all seem a bit clunky to me) was in order. I played round with just chopping the top off and moving the zip down to get a wide enough waist, but decided that it wasn't going to be flattering. So I used my a-line skirt block, unstitched the side seams and recut both panels. The zip and the lining were both still in good order so I used those also. And I think it's really cute! 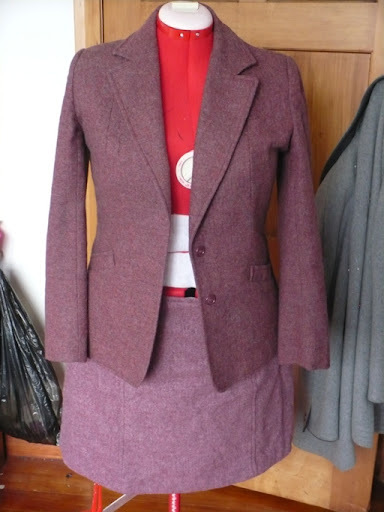 Not too itchy, and a nice work skirt that will go with lots. A bit sad that I made it right at the end of winter, so it not get much use til next year, but I'm happy with it nonetheless.